The LePage administration has shown little interest in public health, making it imperative that others do. Maine’s already hobbled public health system was diminished further last week as budget cuts threatened to close school-based health centers and defund regional groups responsible for coordinating important public health initiatives. The $5 million a year in cuts to the Center for Disease Control and Prevention — down from $10 million in Gov. Paul LePage’s budget proposal — were made by the Legislature as part of a compromise that maintained MaineCare reinbursements for primary care. But it was up to the Department of Health and Human Services on what programs got the axe, and they chose public health. It’s an area the LePage administration has shown little respect for, making the uncertainty surrounding these cuts all the more worrisome. There has been no word so far from the administration on how, or if, it plans to replace the services that may be lost, and if those answers aren’t forthcoming, it’s up to lawmakers to get them and respond, just as they have — so far — to the administration’s risky reduction in the public health nurses who serve on the frontlines of crises in communicable disease and neo-natal health, to name two. The cuts come from the Fund for a Healthy Maine, which is seeded by tobacco settlement money. A little more than $1 million of the money was previously earmarked for 15 school-based health centers in eight communities spread throughout the state. The health centers provide basic medical care for students regardless of their insurance status, and fill gaps in that coverage where they exist. The schools consider them an important function that helps keed kids healthy and establish healthy patterns, and say they are looking at other avenues for funding. But without the state money, the health centers become yet another thing schools must fund locally, another unexpected last-minute budget item they have to deal with when their budgets are done, or nearly so. A DHHS spokeswoman said that in other states, it’s the Department of Education who handles school-based health centers, but no word on whether that is actually the plan. The department also has cut funding for the coordinating councils in eight of the nine public health districts, less than a year after those districts were given additional responsibilities when the LePage administration ended the 27 popular and successful Healthy Maine Partnerships that worked on initiatives related to tobacco cessation, obesity, addiction and other public health matters. In handing them more duties last year, DHHS said the councils — teams of health care providers, municipal governments, schools, law enforcement and others — were important to public health, particularly in the realm of tobacco and opioid use. 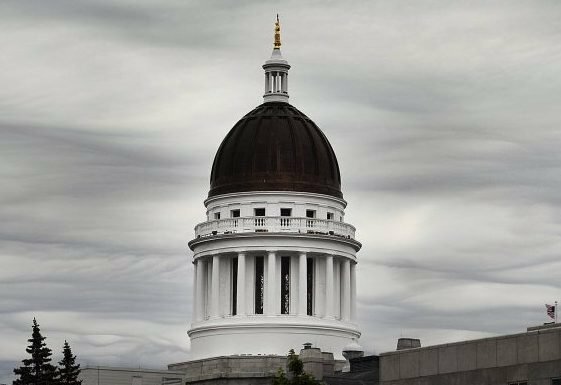 Now, according to the Bangor Daily News, the councils are unclear on how they are supposed to proceed. The CDC, which exists under DHHS, told the districts it was “still pursuing alternative approaches to retain core public health infrastructure.” That is not encouraging, as the administration has stripped Maine’s public health infrastructure of its teeth and seems to include the only people not concerned by it. This is the same administration that allowed the number of public health nurses, at one point 59, to fall to 20, then held back from legislators information on the program, all while saying that everything was fine, a position not backed upby advocates or legislators close to the issue. A bill with bipartisan support to restore the lost nurses, L.D. 1108, passed the Legislature but may be vetoed by Gov. LePage. Lawmakers should continue to support that bill and make sure it gets implemented, then turn their attention to protecting the important services that were cut last week. Someone has to look out for public health.